2nd only to Seattle in terms of population density in the state, Spokane is the largest city in Eastern Washington. 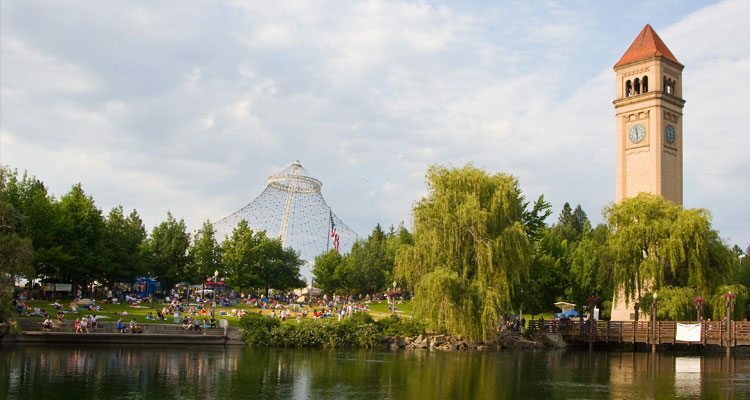 Spokane enjoys hot summers and cold winters with plenty of access to outdoor activities. Spokane recognized for its historic neighborhoods including the Victorian-style downtown district of Davenport. The weather allows year round outdoor play while the city is rich in museums, theaters, and other indoor activities for the rainy days that occur roughly one-third of the year. For the last couple hundred years, Spokane has been known as northwest trading post due to its proximity to Canada, Idaho and Seattle and abundance of railroads and trade routes. Since 2014, Spokane has been actively focused on transforming their economy to be more service-based. It has chosen to further its foothold in the medical and health fields by creating a medical branch in the University District.